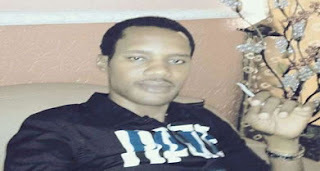 Nollywood actress Toyin Aimakhu's ex-boyfriend, Seun Egbeegbe, has been arrested for robbery in Ikeja. According to reports Seun Egbeegbe was arrested, today, November 22, 2016, at Computer village for allegedly stealing iPhones. He has since been handed over to the police. Eyewitnesses say Egbeegbe went to a certain Keelcech Innovations Store in computer village, took two iPhone 7 and some iPhone 6+, told the sales girl he was coming, and then crossed to enter his Jeep. They caught up with the movie producer and a mob gathered beating him up but for the timely intervention of the owner of the store, Mr Kolawole Aleshinloye. He is reportedly currently cooling his heels at the Area F Police station where he’s currently been detained. We are however not sure if the photos are from a movie scene. Pulse reached out to his reps and so far no word back.